My collection of printable easy crosswords for adults is growing nearly every week! This puzzle is a large-print edition, all about tools. Please use the buttons on the left or the links at the bottom of the page to find more easy crosswords. Can you solve all twelve clues about popular tools: You probably have all of these (and many more) in your toolbox! 4. Use a razor ___ in a cutter to scrape glass, remove old caulking or wallpaper, etc. 8. Use this to apply paint, glue, cleaners or lubricants. 1. This will help you make a straight horizontal line or surface. 3. 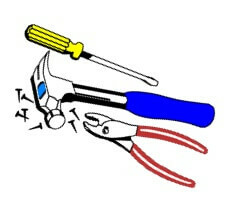 A utility ___ is handy for cutting tape, wire, etc. 5. Measure things with this. 6. Duct ___ is great for holding all sorts of things together. NEW! Cocoa Crossword Warm up with a nice cup of cocoa and have some word game fun. 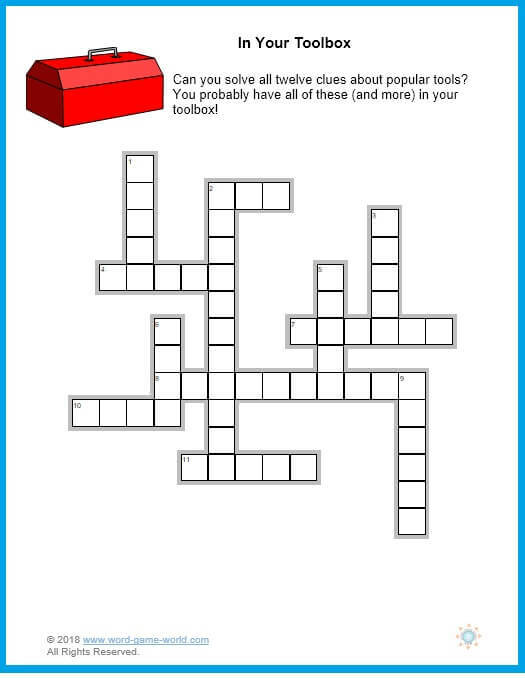 It's one of our newest printable easy crossword puzzles! With just twelve clues to solve, it's fun for all ages! Headlines from the 70s This large-print easy crossword printable puzzle will help you recall some of the momentous events of the 1970s. Department Store Delights Remember the fun of browsing through the big, sparkly departments as a child? Solving this puzzle will help you recall big stores, both old and new! 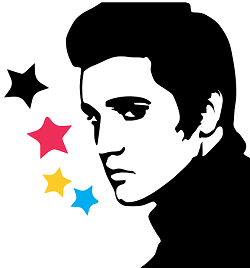 Remembering Elvis Finish the song titles of several popular tunes by Elvis Presley. It's a fun trip down memory lane! 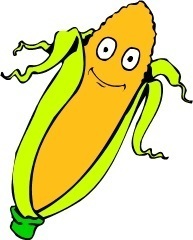 Corny Jokes Crossword - In this printable crossword puzzle, every clue is a very corny joke or riddle. You just need to come up with the same answer I did! I'll be adding more printable easy crosswords for adults in the near future, so please check back soon. Don't miss our special collection of crosswords for kids. Adults like these, too! Buzzwords One of the best printable word games around! 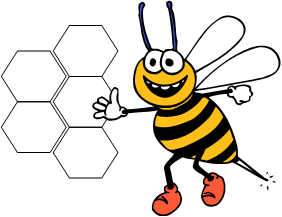 Use crossword clues to find scrambled words in a honeycomb. Sweet! Be sure to try some of our kids and adult word scramble games, too! They're fun to solve on your own or with a friend.